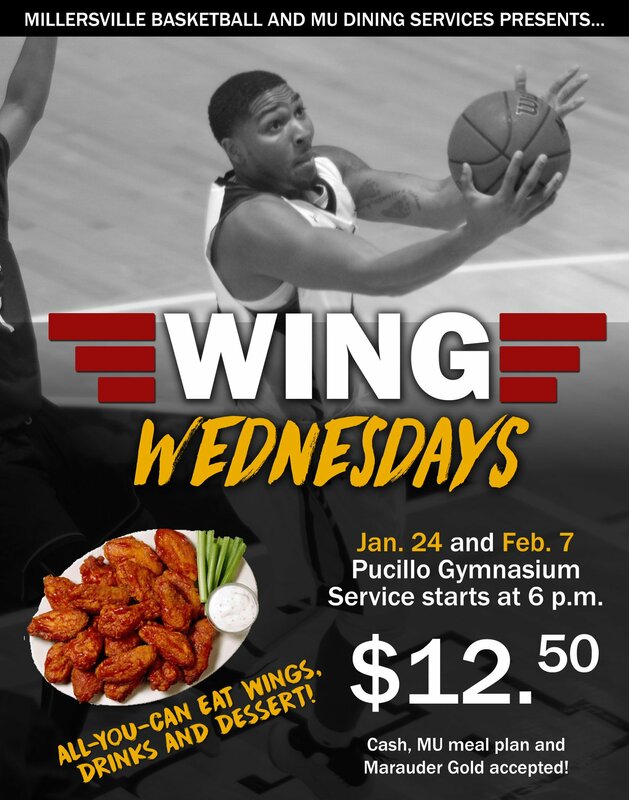 New Today: Wing Wednesdays: All-you-can-eat wings at Millersville basketball games (Jan. 24 and Feb. 7) – $12.50 for wings, drink, dessert. Cash, meal plan, Marauder Gold accepted. New Today: Become A Peer Educator! Obituary for Kathy Wiley, longtime employee of Millersville University. MU ranks among best in nation for online programs. Indoor track – MU’s Sunflower Greene broke her own school record in the weight throw at Saturday’s Coach 1 Open at F&M. Activities planned for MLK Day include events at Millersville. Women’s basketball, Millersville 85, Kutztown 58. Men’s basketball, Kutztown 87, Millersville 77. 1/13 – York Daily Record and Lebanon Daily News – both had interviews with Millersville’s Eric Horst about upcoming storm. 1/12 – Central Penn Business Journal – Millersville University hires Gale Martin and Robin Zaremski. 1/12 – Carroll County Times – Millersville University recently announced scholarship recipients for Carroll County. Each scholarship ranged from $2,000 to full tuition.